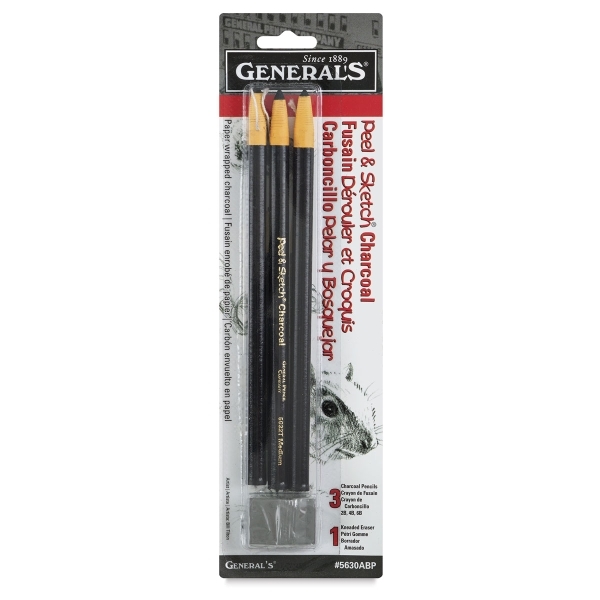 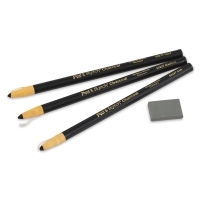 The black, velvety smooth charcoal works great for creating quick sketches and drawings. Just slowly pull a string to peel away paper and reveal more charcoal! 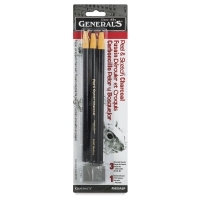 Includes three assorted degrees of charcoal: soft, medium, and hard, and one kneaded eraser.